With the development of urbanization, thousands of young people flocking into city for working, leaving their small kids at home. It is very important for us to pay more attention to these children if we want to build a harmonious society. 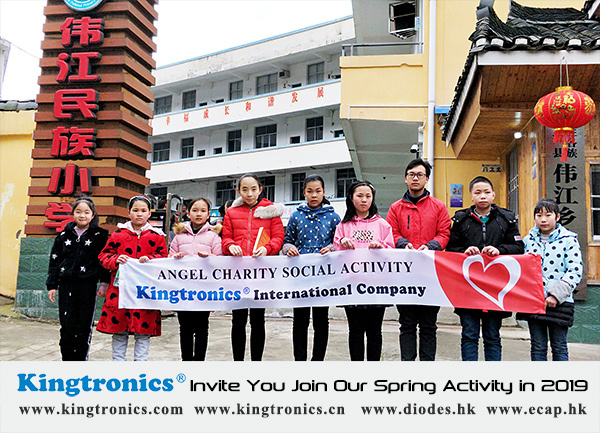 For Kingtronics team traditional activities, we had visited some kids in Guilin province in this spring. We asked what gifts they want before going to visit them. Happily, school supplies, books were the most children want to get. And some kids received sporting goods like basketball, table tennis and badminton racket and so on. How happily the children are playing!